Since the opening of the all new Fantasyland in the Magic Kingdom, “Be Our Guest” is the hardest reservation to get at Walt Disney World. If you do not make a reservation 180 day out at 6 am, you will not get in. 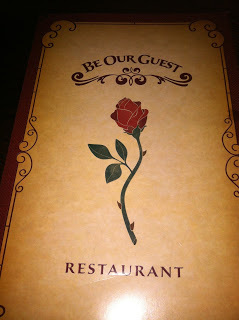 The restaurant is Beauty and the Beast themed. The Beast stops by for pictures after your meal, at dinner only. I love the character meal hybrid. It was not crazy hectic like a character meal can be, but you still get to see a hard to catch character with almost no line. I hope they do something like this again with another restaurant. My family got to Be Our Guest and checked in. We were asked to wait on the bridge for our name to be called. It was amazing beautiful. The sun was just setting in the distance behind the Beast’s castle. It was a perfect way to wait for our turn. 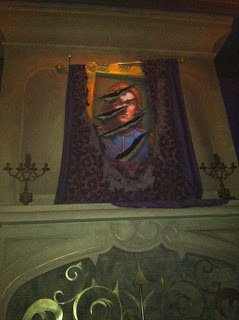 The restaurant is broken down into three rooms–including the main area that looks like Beast’s ball room, and the west wing. We asked to be seated in the west wing section. It was a bit of an extra wait, but it was so worth it. The west wing was perfect–so life like and true to the movie. 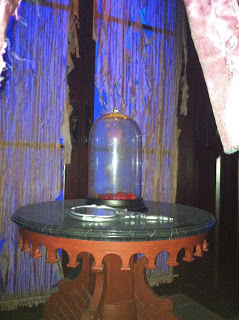 In the West Wing dining room is the rose! It looked just as it would when Belle snuck in to see what the Beast was hiding. 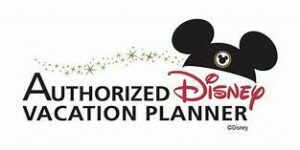 Pure Disney magic! When my family was seated I could not help but notice all the attention to detail that Disney is famous for. At each setting was a red rose made from a napkin. My kids and I raved about how cute it was. The waitress stopped what she was doing and gave a lesson on how to make the roses. This gave the kids something to do while we waited for our food. After we ordered, my husband and I wondered around the dining room to take it all the magic. We were so impressed. Every few minutes, it would thunder and the lights would dim. The room was quiet and had an eerie feeling to it. Our meals came in no time. The food was very good. The service was good too. I doubt this restaurant will ever be known for its food or service. 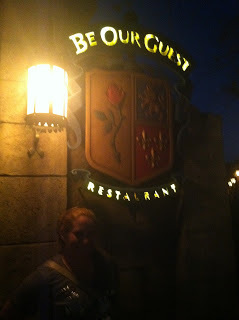 No matter how good both may be, its ability to take you right inside a Disney movie is what Be Our Guest is famous for. They serve breakfast and lunch too. 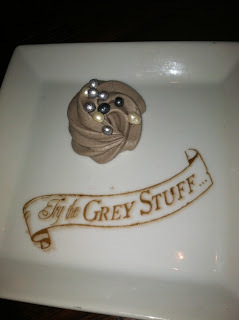 Don’t forget to ask for the Grey Stuff–its delicious!